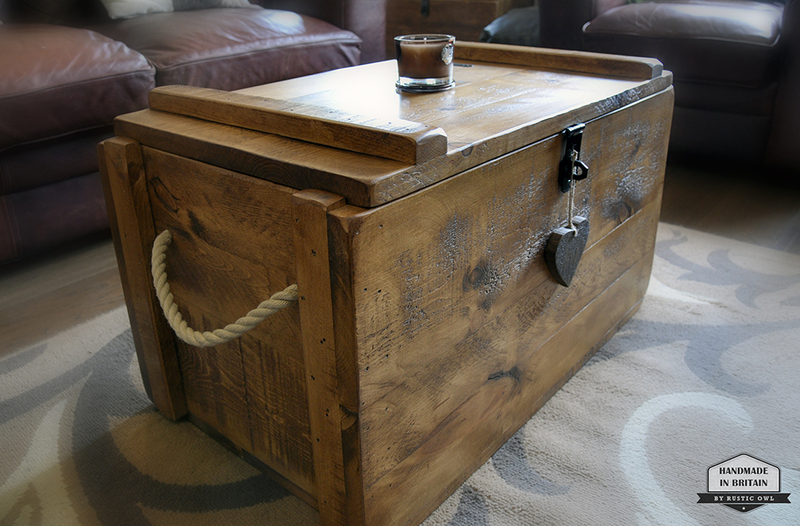 This beautifully wooden trunk is hand made in our own workshop in Warwickshire, UK. 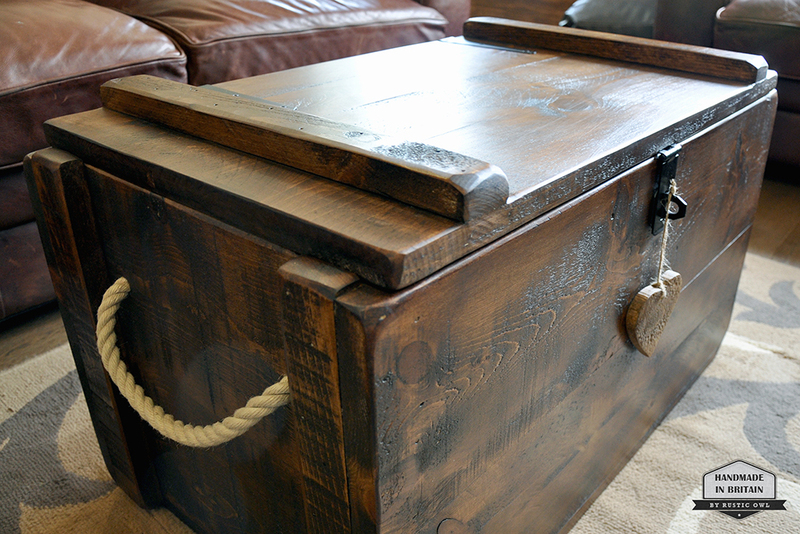 The chest is individually prepped, assembled and finished by hand to give each one it’s own unique character to replicate the look of old vintage shipping trunks. 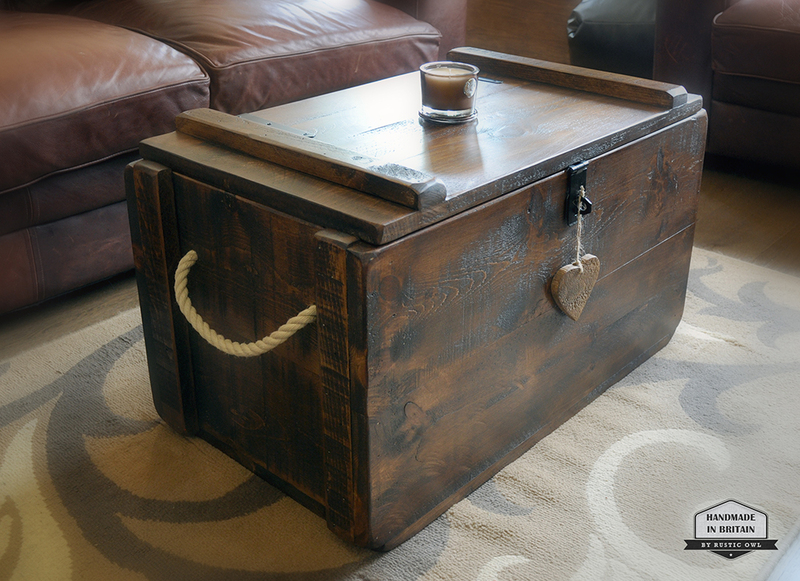 This versatile piece of furniture has a number of uses… Blanket box, coffee table, toy box, or even stand it on its end to use as a unique cupboard! 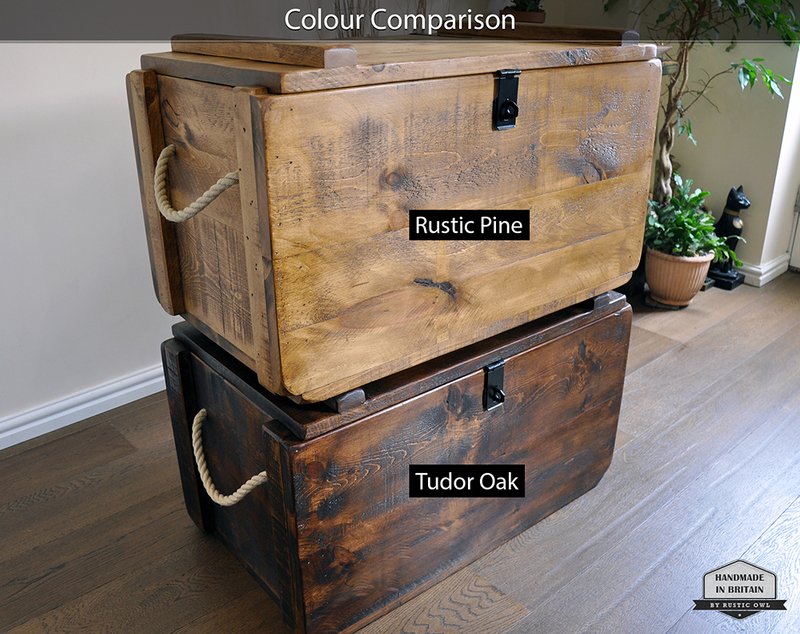 The Beeswax finish is applied by hand with 2 coats of quality beeswax stain which really brings out the character and gives a lovely smooth feel with a subtle shine. Two colours available as standard. 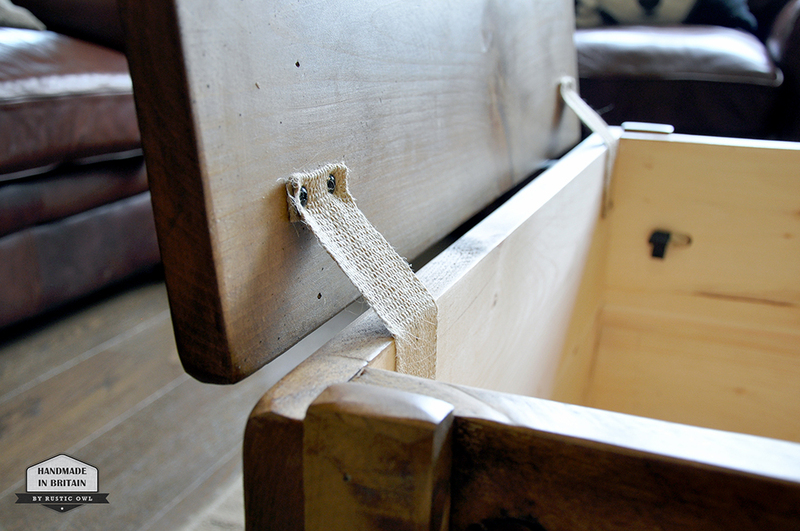 The top is hinged and has a hasp and staple so the chest can be locked with the use of a padlock. It also conveniently has quality 14mm hemp rope handles on both sides to make it easier to move around the home and for added decoration. To finish it off a free heart decoration made out of the off cuts is included. We don’t like waste! Bespoke sizes available by request. Please contact us for a quote. 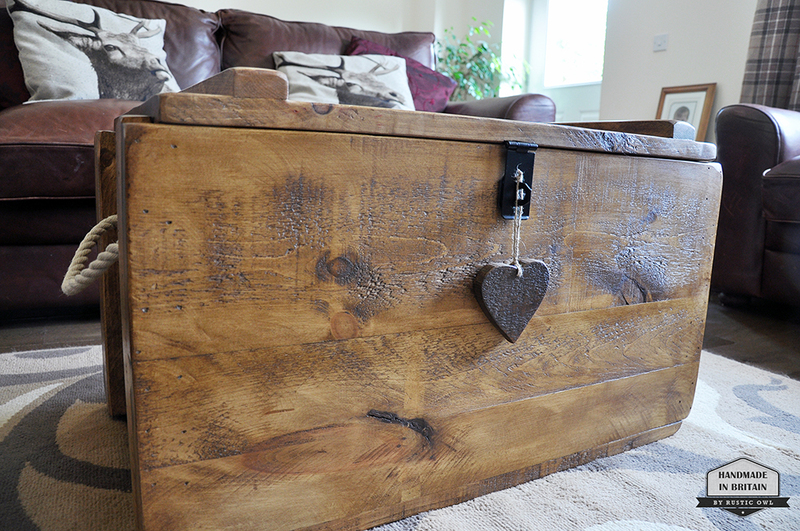 So thrilled with this trunk, it is as beautiful as the picture and looks perfect in our living room! Amazing customer service from the original order until delivery. We are now having some bespoke items made to add the finishing touches to the room. We are so pleased to have found Rustic Owl, a huge “thank you”! 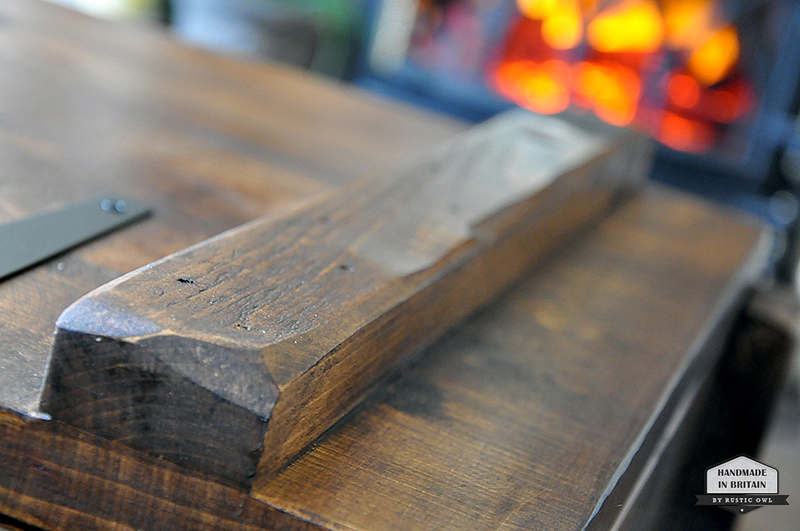 Rustic Owl is all about handmade furniture–Real wood with unique rustic charm and inspired vintage style.